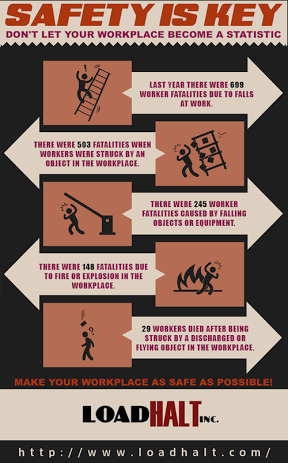 Workplace safety and preventing accidents is an expensive endeavor. But accidents are even more expensive. If anything goes wrong because of any found negligence on your part, whether intentional or not, there are fines upon fines put on your company from OSHA, doctor bills and any lawyer fees. This is especially dangerous if you are just starting out and lack the funds to deal with such a crisis. Luckily, there are some steps you can take to reduce accidents without keeping your company in the red. When the staff is low, it can be tempting to turn to a quick hire just to ease pressure. This, however, can quickly back fire, resulting in a hire that is negligent, unmotivated and altogether detrimental to the company. Incompetent employees pose a risk to everyone, not just themselves. Take the time to make a good choice. A few weeks of extra work is hardly bad when you’re hiring to avoid thousands of dollars in fines. Even if this means projects take longer to complete, build a culture that is dedicated to safe practices. So long as you paint hurried work in a negative light, employees will be more than happy to take all the time they need to guarantee everything they do is both safe and to standards. This also means you have to exhibit safety awareness as well. They watch and learn from you. Tied to this idea of a safe culture is the necessity for harnesses, hard hats, ergonomic keyboards and anything else that will contribute to continued health. When requests come to you to upgrade this equipment or order more, don’t roll your eyes because of the hit the budget will take. Appreciate your employees for taking charge of their own safety. If they seek upgrades, this means you have a safe culture. No matter how long employees have been staffed at the company, you can never undergo too much training, even as a refresher course. At least once per year, have a professional come in to go over proper usage and handling of big machinery as well as run mock emergency situations. During this time, appoint certain individuals to take charge in the event of an emergency. Humans panic when things go wrong, so it’s important to make sure there is a line of command to keep order and reduce any further injuries if something happens. Get your staff to do this too, especially since they deal with parts of the building on a regular basis that you otherwise rarely see. Have a system where they can report potential issues and what they would suggest to fix it. This combination takes a lot of stress off your back in that you don’t have to do additional research on top of trying to quickly fix a problem that could potentially lead to disaster. It also gives your employees responsibility for fixing their own problems, one that they deserve to exercise on a daily basis. Safety in a workplace is relative based on an extreme number of situations that go into the typical work day. There is no way to deem a place officially safe and expect nothing to happen. Even a room of padded walls can cause harm if the inhabitant is determined to hurt themselves. So long as you keep this in mind, you’ll always be ready to change to meet the safety needs of your employees. Ways To Make Your Recruitment The Best! What’s It Like To Be An Engineer?